Prosecutors rearrested Ghosn last week on fresh allegations that he used company funds to enrich himself to the tune of $5m. The once-fêted executive, who had been out on US$9-million bail for 30 days, recorded the video the day before he went back to jail. An official of the French presidential office has indicated that the government is unwilling to give special treatment to former Nissan Motor Co.
"Nobody saw it coming", sources close to Renault, in which the French state has a 15-percent stake, said. Ghosn said the executives behind the conspiracy were motivated by what he called "selfish fears", and mistook his leadership for greed and dictatorship. Ghosn said in the roughly eight-minute video, "I'm innocent of all the charges that have been brought against me". The video comes a day after shareholders of Nissan Motor Corporation voted Ghosn out as a director at an emergency meeting, severing his last ties with the company. 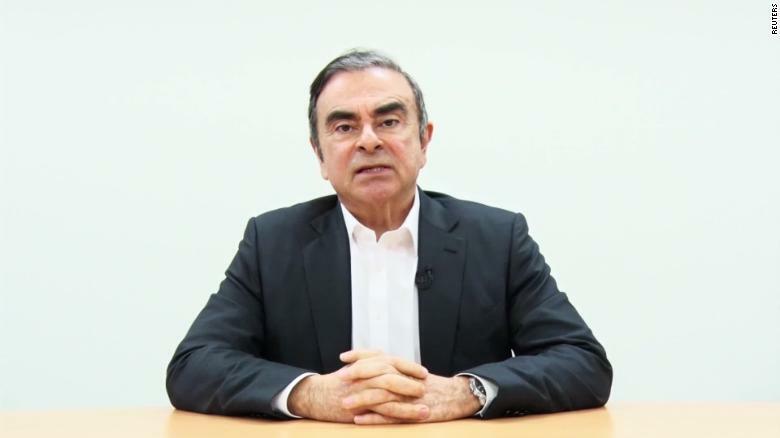 Wearing a dark jacket and a white shirt, Mr. Ghosn sat at a desk with his hands folded as he looked into the camera and spoke in a calm voice. Nissan President and CEO Hiroto Saikawa, under fire about the protracted scandal regarding its former chief and the automaker itself who is also facing allegations of financial misconduct, said Monday he will not step down so as to restore public trust and stabilize the new alliance. However, France's finance minister said on Tuesday that political interventions might not be the best way to help Ghosn, raising some questions about how much pressure Paris was willing to put on Tokyo over the issue. He has also been critical of Japanese prosecutors, who are free to hold suspects for up to 22 days and interrogate them without the presence of their lawyers.